Confused about which color to choose for your suit? 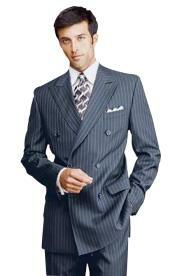 Men who are rarely buying suits might find it highly difficult to pick the right color for their suit. Suits are outfits that are worn for rare occasions. Not all men wear suits to work every day. Men's suits are still considered a high fashion wear for important occasions. For men who rarely wear suits, bright and vibrant colors for them would be too gaudy. Not all men can carry dark and attractive colors like sand, red, pink and so on. 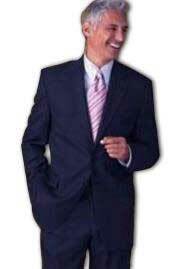 Yes, there are men's suits in such color options that men prefer to get dressed in for occasions like prom nights, thanks giving events, business casual parties, dinner dates and so on. If you are looking for dark yet subtle color options in men's suits, then black and brown are the only two options that come to one's mind. But there are variations in dark yet subtle color options that are different from black and brown and make a unique classic look. 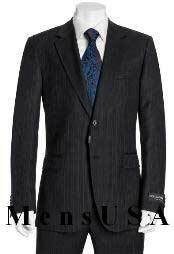 A mens navy blue suit does the job of unique yet dark and subtle color option in men's suits collection. 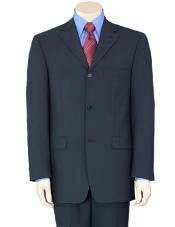 Navy blue mens suit looks unique and different yet keeping the rules of a simple suit intact. 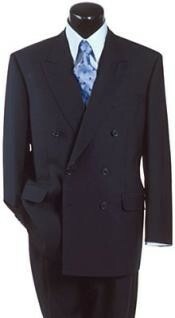 You can choose to pick a mens navy blue wedding suit to grace a grand occasion such as wedding. Men look stylish, simple and sophisticated in a navy blue wedding suit. 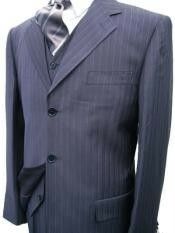 All suit styles and options go well in navy blue suits for men. 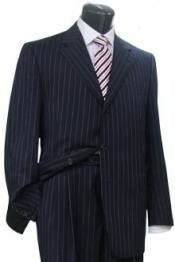 Make your look formal with mens navy blue three piece suit. 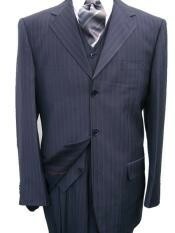 A vested mens navy blue suit comes with a vest, suit jacket, matching dress pants, dress shirt and accessories. You can now complete the look of a formal outfit with a navy blue suit. 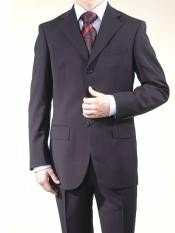 There are all types of styles and designs that you can find in navy blue suits for men like single breasted navy blue suits for men, double breasted navy blue men's suits, navy blue Zoot suits, two piece navy blue suits, 3 piece navy blue men's suits and so on. 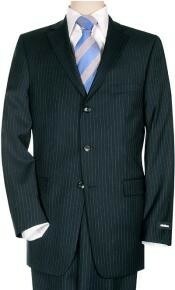 When it comes to fit, navy blue men's suits are designed in modern fit, regular fit, and slim fit options. 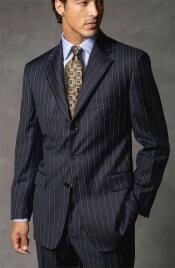 Patterns in men's navy blue suits include pinstriped navy blue men's suits, solid plain pattern wool navy blue men's suits, seersucker navy blue suits, polka dot pattern navy blue suits and so on. 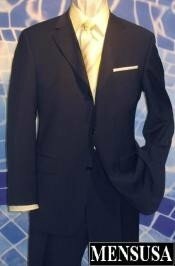 Lastly there are also different color options available in navy blue men's suits ranging from the darkest shade of navy blue to the lightest. 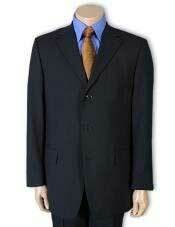 Browse this dedicated category at Mensusa that sells fashion color suits for men in navy blue. We stock all patterns, designs and styles crafted in the right fit suit that makes a complete ensemble, made available in all men's sizes online.